‘We’re from Drury Lane. Lady Elizabeth is expecting us,’ said Pedro, ignoring the outstretched hand and making to step inside. ‘I doubt that very much,’ said the footman with a sardonic smile, blocking his way. ‘We’re here for the tea party,’ I added boldly, annoyed by the man’s supercilious attitude. ‘If you don’t believe us, why don’t you ask her?’ Perhaps our confidence made him think better of shutting the door in our faces. ‘Wait here,’ he ordered. He turned to another footman standing in the hall. ‘Watch them,’ he told his colleague. ‘See that they don’t touch anything.’ He then strode swiftly up the red-carpeted stairs. We stood under the hawkish gaze of the second servant, waiting for our fate to be decided. Before long, the footman returned and reluctantly opened the door wide enough to allow us in. ‘Apparently, you are expected,’ he said with ill grace. ‘Would you like to leave your cloak here, miss?’ I took off my hood and handed over my old black cloak, revealing underneath the white muslin dress with a green silk sash Mrs Reid had made for me from one of the ripped ballet dresses she had stashed away. The footman’s manner instantly became more respectful. ‘Step this way, miss,’ he said, bowing me up the stairs. observations: This delightful book won the Nestle Children’s Book prize when it came out, and has been followed up with five sequels – I’m not surprised, but I do have a huge complaint about it, which is that it didn’t exist when my own children were younger, let alone when I was a child. It is a rip-roaring adventure with a great heroine (surrounded by a gang of excellent other characters, young and old), very well-written in accessible but vaguely-authentic-sounding language. I, and my children, would have loved it and gone all out to get the whole series. Reader, you are set to embark on an adventure about one hidden treasure, two bare-knuckle boxers, three enemies and four hundred and thirty-eight rioters. It is told by an ignorant and prejudiced author . . . me. Irresistible. 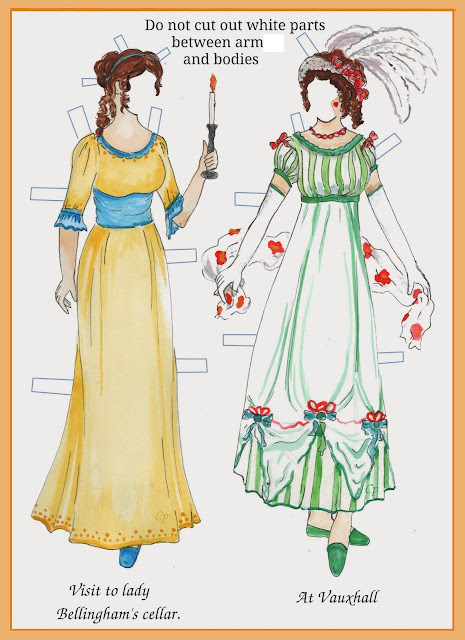 The story is set in 1790: she gets involved with politics and cartoons, gangs and valuable jewels, cross-dressing and refugees from the law. 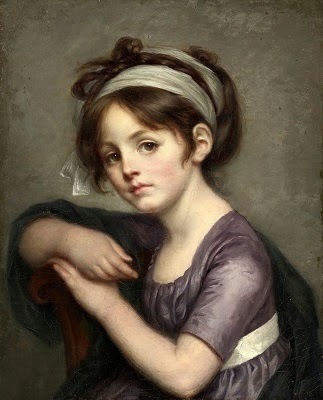 The picture – Portrait of a Young Girl by Jean-Baptiste Greuze, from the Athenaeum website – is of the right era, and although it doesn’t represent the fun and excitement of the book, I liked the Young Girl’s smart and knowing gaze - I imagine Cat must have had exactly such a look. I'm fairly sure one possibly two of my lot have read this. The title sounds very familiar. It's not too late for your offspring to read them now is it? You're quite right - I'm still reading children's books at my age, after all... I shall pass it on. Whilst I was book sorting at the weekend, I was in two minds whether to keep the books my kids had dispensed with and add them to my own reading or just pass them on. Sometimes I feel my reading is quite narrow, but I don't know if childrens/YA books are a direction to go or not. Moira - Oh, I wish it had been around when my daughter was young too! It sounds delightful, and I like the protagonist's voice already. And the adventure sounds like, well, fun as much as anything. Who says children's books have to be just for children? This excerpt sounds very, very good. You know the old story ... I have too many books already. But I think there are YA books worth reading, one just has to find them. I have had some health issues recently and it may take me a while to get back in the swing of things, but I will be coming back to comment on your more recent entries soon, I hope. I really enjoyed this book, I think she's an excellent writer, and this would be a great choice for young people. Thought I commented on how much the child in the painting made me think of the young Dido Twite from Joan Aiken's Black Hearts in Battersea sequence... must have not gone through! Sorry - blogger so unreliable. That's the series with Wolves of Willoughby Chase, right? Nice thought.